*Mariposa means "butterfly" in Spanish. See my blog postings #2 and #29 to learn about butterflies and their importance in the ecosystem. We learn through stories. This blog includes stories about the people in the U.S. and Latin America with whom I have learned about sustainability. Their stories help me think more deeply. How can we identify sustainable actions? We can examine any personal or business practice or decision through the lens of the Triple Bottom Line (TBL). The TBL looks at the economic, environmental, and social effects of our actions and practices. How can we promote sustainability in trade and our everyday lives? Grassroots tools that promote sustainable trade include Fair Trade, Direct Trade, cooperatives, organics, and micro-finance as well as local production and purchasing. This blog introduces you to some of those tools and the people who use them. Each of us can make a difference. A consumer who looks for the least expensive goods without considering how they were produced ignores the fact that "someone pays" through low wages and abuse of the Earth's resources. Business managers promote unsustainable development when they focus on short-term profits and ignore effects of their operations on the environment, employees, and communities. Sustainability requires transparency, holistic analysis, long-term perspectives, and thoughtful choices. To learn more about the tools of sustainability: Please explore my website at www.tradeandsustainability.com. It lists my public presentations and provides links to many of my publications. Some are short and in plain language for anyone interested in sustainability. Others are law review articles, providing in-depth exploration of sustainability-related topics. The law review articles are written in an accessible style for readers from various backgrounds, not just lawyers or students. Additionally, I have posted PowerPoints and lists of resources for teachers. I hope you will learn from the blogs I have posted and return to enjoy new ones. 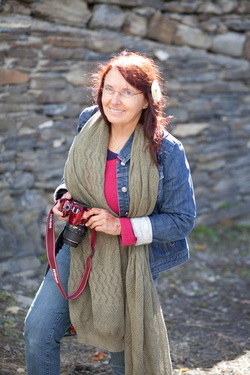 Photo of Paulette Stenzel: Copyright © 2015b y Valerie Shaff and used with her permission. Photos above: Copyright © 2016 by Paulette L. Stenzel.